Peter Neumann went directly from high school football at St. Catharines Collegiate to professional football with the Hamilton Tiger-Cats. Neumann was an all-star almost every year, and made the All-Canadian Squad in his final season. He was known for his quickness, ability to read plays, and for hitting with devastating power. He earned respect from players, coaches, and fans alike. Peter Neumann was Hamilton’s nominee for the Schenley Most Outstanding Canadian Award in 1957, 1961, and 1962. 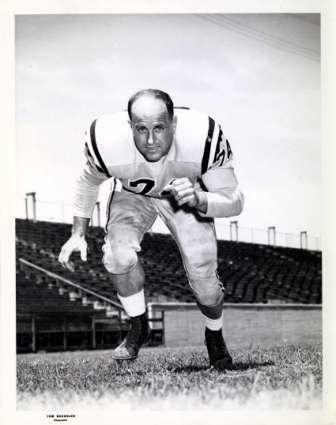 The Tiger-Cats went to the Grey Cup eight times during Neumann’s career. His talent and intensity helped the team win three national championships.